Papergreat: 1952 booklet: "What Your Family Should Know — ABOUT TEETH!" 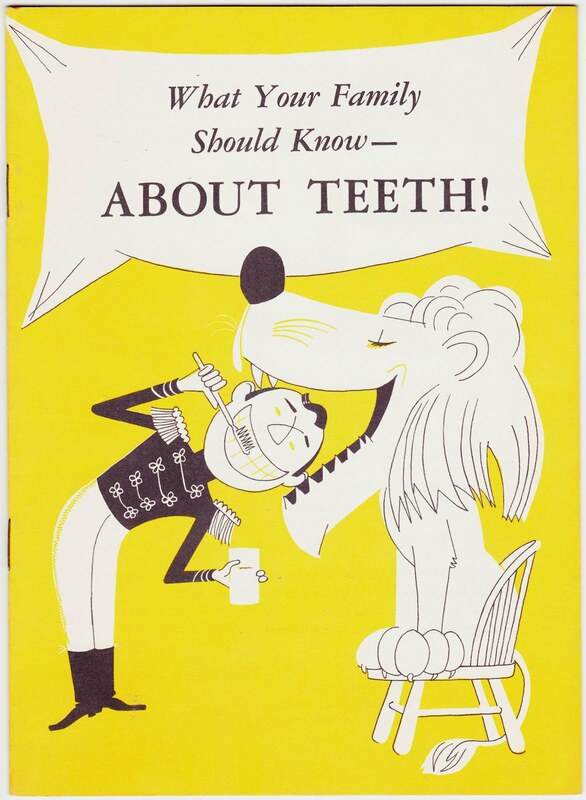 1952 booklet: "What Your Family Should Know — ABOUT TEETH!" It was produced by The Economics Press of Montclair, New Jersey, and features drawings by R. Roberts Baldwin. "An excellent practice is to keep a dish of attractively prepared raw vegetables handy in the refrigerator. Radishes, celery and carrots are the standard items. These can be easily slipped on the table at meal time and the children (and adults) encouraged to finish off their meals with a piece of raw vegetable." "Some habitual pipe smokers wear regular 'pipe holes' in their teeth. 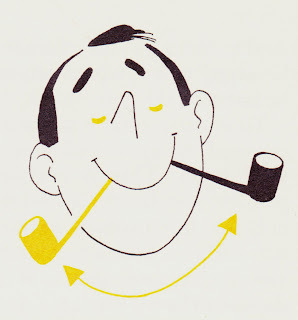 If you smoke a pipe, don't chew on it and don't always hold it in the same spot in your jaw." "Each member of the family should have at least two toothbrushes so that one can dry while the other is in use." 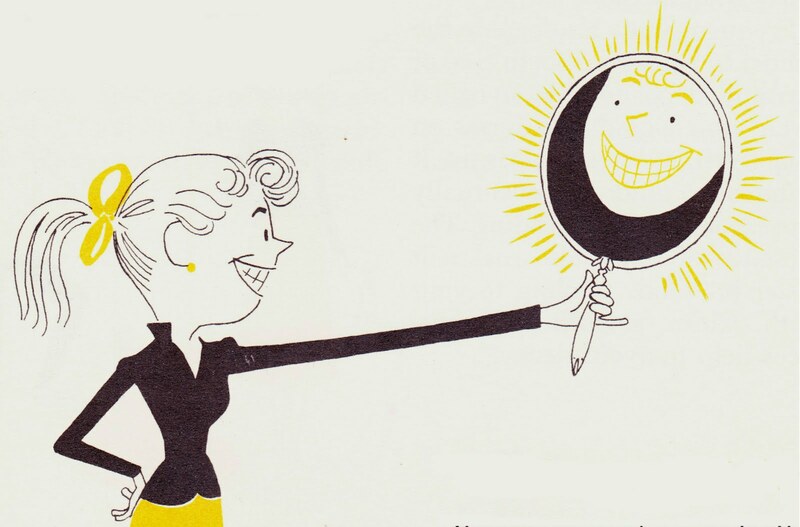 "At least one set of [tooth]brushes should be kept downstairs -- in the kitchen or downstairs lavatory. This makes cleaning the teeth directly after eating a practice in which the whole family will be more willing to cooperate." "Your dentist may suggest occasional X-ray examinations of your teeth. This is completely painless and harmless and is the only way he can check the hidden surfaces between your teeth and under your gums. If your dentist believes that an X-ray examination is advisable, by all means cooperate." "Proper care of your teeth is really not difficult; it's largely a matter of habit. Once you and your family have taken the trouble to form the right habits, the rest is easy. Good habits are just as automatic as bad. So -- why not start today? The time to appreciate good teeth is while you still have them." 3. Hmm. I had not previously been familiar with that particular saying.